Eine Sammlung der schönsten Modelle aus den Rowan-Magazinen: 40 Jahre Rowan Yarns - 40 Iconic Hand-Knit Designs bietet Pullover, Strickjacken, Wraps und vieles mehr von berühmten Strick- Designern wie Kaffe Fassett, Martin Storey, Louisa Harding, Sarah Hatton, und vielen anderen. 20 Original Designs führen in die sowohl kreative als auch inspirierende Zeit der 1980er, 90er und 2000er zurück. Sie spiegeln den Lifestyle dieser Dekaden wider, zeigen aber auch, wie sehr sie Einfluß nehmen auf aktuelle Fashion Trends. Weitere 20 Modelle wurden in den aktuellen Qualitäten und Farben neu gestrickt und fotografiert. Eine gelungende Show, in der alle renomierten Rowan Designer zum Zuge kommen. 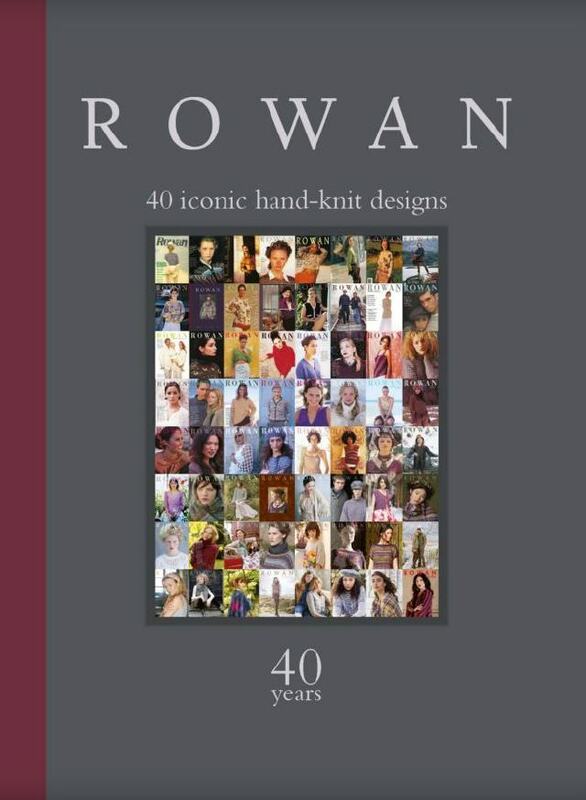 A collection of the best of the best from Rowan magazine, Rowan: 40 Years: 40 Iconic Hand-Knit Designs features sweaters, cardigans, wraps, and more from celebrated knitwear designers such as Kaffe Fassett, Martin Storey, Louisa Harding, Sarah Hatton, and many more. While a gallery of covers, never-before-seen photography from the original magazines, a brief history, and a foreword written by Marie Wallin instill a sense of the Rowan legacy, half of the designs have been knit again using modern colors and photographed anew with updated styling to prove that Rowan designs can be as fashionable today as they were years or decades ago. Filled with Rowan's trademark high-quality photography and breathtaking knitwear, Rowan: 40 Years: 40 Iconic Hand-Knit Designs will be a book that every knitter loves to turn to for patterns and inspiration. Preise inklusive gesetzl. MwSt. Copyright © 2009 - 2019 Wolle & Design - Maria Weddewer.